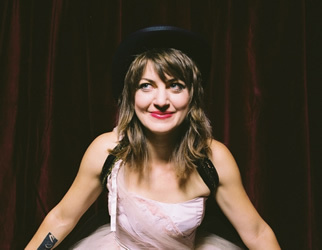 Singer/songwriter ANAIS MITCHELL started writing songs at the tender age of 17. Her childhood was spent in the rural Addison County in Vermont. But Mitchell’s childhood was nothing if not adventuresome – she traveled to the Middle East, Europe and Latin America with her family, which she says influenced her career as a songwriter. Mitchell’s debut album “The Song They Sang When Rome Fell” was recorded in a single afternoon in 2002. The album received favorable reviews and won Mitchell the New Folk Award at the Kerrville Folk Festival. Her second album, “Hymns for the Exiled,” caught the attention of Ani DiFranco who signed Mitchell to her label, Righteous Babe Records. In 2006, Mitchell drafted folk opera, “Hadestown,” which was staged in 2007. 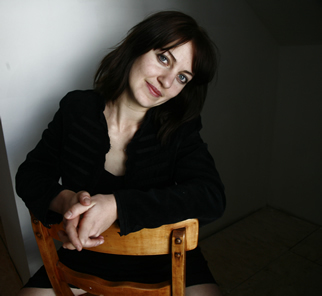 Her third album “The Brightness” was released the same year and, in 2008, she was nominated for a Folk Alliance Award. A recording of “Hadestown” was released in March 2010 with guest appearances by DiFranco, Greg Brown and Justin Vernon of Bon Iver. Mitchell is equally comfortable onstage with just a microphone and her aucustic guitar, sharing a disc’s worth of alt-country duets or scripting a folk opera in collaboration with others.